Cardboardshelter.org is an exhibition that will be held at The Art Works Gallery in Newcastle upon Tyne (UK) from the 27th of November. The exhibition will be open to the public during the run up to Christmas. Organized by Ric & Lindsay Bown, the exhibition invites an interesting line up of UK artists to take part in this non profit event which aims to bring greater awareness to the homeless community living around our towns and cities. The exhibition will also help promote The Big Issue foundation, a long running, award winning magazine, one of the UK’s leading social businesses, which has worked over the past 18 years to help members of the homeless community to regain control of their lives by tackling the issues behind their personal situation and offering them an opportunity to earn a legitimate income. The exhibition comes at a time of year when an estimated 380,000 people are living homeless. If even 1% of the estimated figures are unlucky enough to be living rough, an unacceptable 3800 people will be living on the streets during the coldest, wettest and most hostile of seasons the island has to offer. 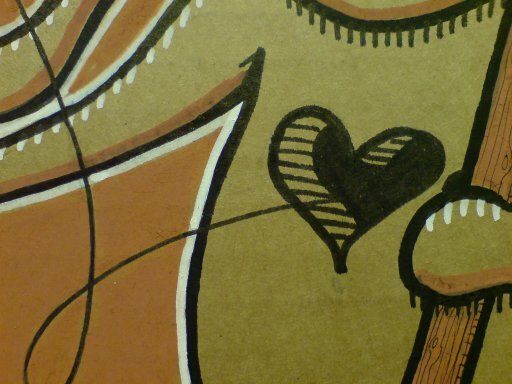 Thirty artists have been invited to produce an A4 sized piece of art work using only recycled cardboard, a “nod towards the material which provides shelter to many homeless.” The work will be sold for £40 a piece with an aim to raise one £1,000 for The Big Issue Foundation. For more information about Cardboardshelter.org and The Big Issue Foundation go here and here. While Oil Prices Fell, The Price of Formaldehyde hit the roof. 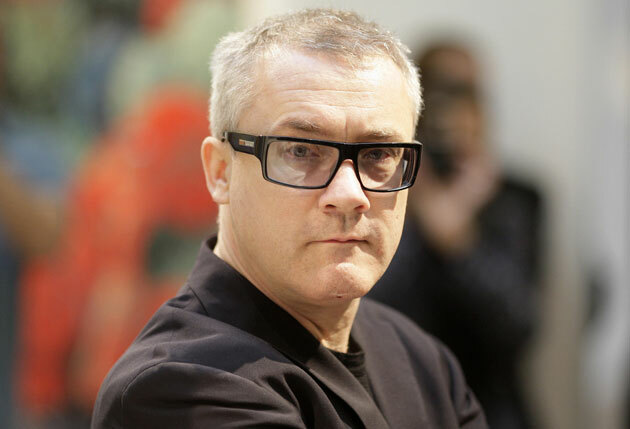 When I looked at a picture of Damien Hirst, a chic nerd portrait in the Independent, I wondered if lying behind his expression, there was the smirk of a man who has just walked out of a shop with too much change. Hirst is a rich man. He was a rich man the day he met art collector Charles Saatchi of Saatchi & Saatchi advertising. When someone like Charles Saatchi offers to give you whatever you need to produce your work the future is yours for the taking. Hirst took it. Money gave way for his artistic flow to gain notoriety. The rich get richer and rich artists get more prolific. When I first saw Damien Hirst I thought of football violence, pints of beer and cocaine, and later, of the pop art dreams of London’s Groucho club kids, out to get rich kids. I wondered about it all. Wretched stained bed sheets. What could it all mean for the future of art. I like the work of Hirst, I like what he does. I don’t care about how rich he is or how rich he wants to get, because I naturally, out of my own character, smile when ever I see his work. I can relate with it, I understand something about where he is coming from. His freeze dried meat and horror wreaks of Francis Bacon as does the rest of his twisted works. He is the Victor Frankenstein of the art world, though where as Victor creates life, Hirst has a canny knack for creating a wonderful modernist air of death. When I look at Hirsts’ work I feel like Marcel Duchamp and Francis Bacon have conspired in some money injected world of the Saatchi rich, all modern and sleek, so far away in time but close enough to the influence of the Dada anti-art, anti capitalist, anti bourgeoisie that it could almost have me spewing the words, “Oh Hirst, with his wonderful ‘Neo-Dada’ works has made it to the very top of irony in the art world.” But with a second thought, maybe not, this could indeed be anti art at its very best. Art has always made the collectors and gallery owners rich and rarely the artists. Art at the top has always been about the rich, about the pomp and vainglorious. But with Hirsts’ previous major auction of his works I feel it was about a little more than that. Sure, it was still about the money, narcissism still lurked in the wings, only this time the course that this river of money would take was slightly altered and I hoped that this could be a positive move for other artists and for the would be buyers of future art sales. With his collection of works, ”Beautiful Inside My Head Forever”, Hirst chose to take his work “straight to the punters”, cut out the galleries and deprive them of their fees. Even Sotheby’s waived their house fees so the illustrious Hirst could pocket the lot. He was even said to have tried to democratise the whole event by opening the auction to everyone and anyone and while the sale of tickets for the event – not to mention yet the final sale prices of his work – made light heartedness of this attempt, the fact that less of the art world’s vulture rich would be filling their pockets was heart warming enough. Maybe if this trend could continue art could become more obtainable, more accessible at best more welcoming to a wider range of people and not just the so called art elite or stinking rich money educated pop idols and stage stars of the media world. And while I always knew that the whole drama of the auction at Sotherby’s was as much about the money as it was the art, what finally made me realize we could be fucked, was indeed those final prices that his works sold for. A tiger shark in formaldehyde for 9.6 million, a sculpture of a bullock in formaldehyde 10.3 million and a final sum of 111.3 million pounds raised in total from the sale of his works. Like I said, I don’t care about how rich he is or wants to get, I enjoy his art but when it does get down to the money that people are willing to spend I am dumbstruck. This is a breath taking amount of money lavishly flaunted simply for egos sake, to decorate a room, to boost ones social awe, all this while the world spins out of control, while banks are losing peoples savings and pensions, while jobs are lost, while food runs out around the world and while war still rages somewhere through our TV screens. It is a great sadness to watch the world and the societies with-in collapse while somewhere else the ones of us fortunate enough to have the wealth and social standing to actually make a difference, instead, make the choice to carry on in a lavish world of porcelain smiles speckled with rare caviar, cackling in the champagne buzz of their wonderful lives. I say let them gorge on their own egos, these rich and greedy. I hope one day someone finds some new rich sick Moscow spawn of the new revolution lying dead under some pickled shark, drowned in formaldehyde. I don’t get what these people don’t get. I don’t get how they don’t see that all the money they happily blow on their own lives could actually be put to a much better use. Are their egos that shallow, like spit on a mirror? What I do hope from it all is that Damien Hirst is more than what he seems. That he is more than one of those out to get rich kids, now rich and blowing his wealth up his nose and inflating his own ego. I hope he has vision and compassion and something to give back. I don’t think the drama that happened at Sotherbys was a positive situation, even after depriving the greedy art profiteers, conning the rich of their mammonish wealth, or even after Hirsts attempts to “Democratise” the whole affair because in the end, all that came out of it was the advertising of art by relating it to an un- realistic, dysfunctional world where money is king.